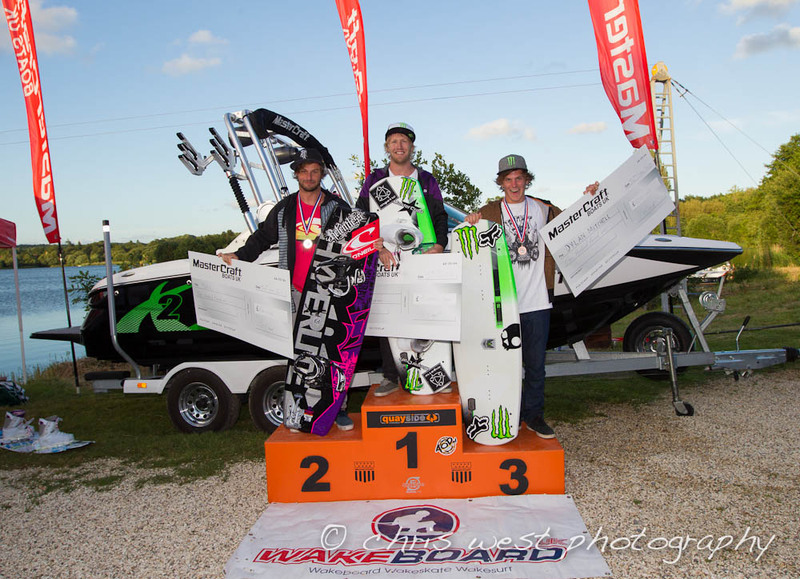 In rare UK sunshine Dan Nott regained the Open Mens National title from Sam Carne in a nail biting finish to the Mastercraft Wakeboard and Wakeskate 2012 Nationals. Dan rode last in the Open Mens Finals Heat and watched 2011 Champion Sam Carne lay down an impressive selection of hi end tricks only falling on the return pass on a BS 540. Dan had to then match and surpass Samâ€™s technical run with intensity knowing that a stand up pass was needed. Dan held his nerve with a outstanding pass which included a Big Worm ,TS 720 and his signature Tootsie Roll and rode to win the Nationals with Sam in 2nd place, South African Dylan Mitchell in 3rd, Jorge Gill in 4th, Edd Blundell in 5th and Paul Johnston in 6th. In Open Ladies Megan Barker Laid down seven inverts to secure her first ever British Open Ladies title pipping Sian Hurst from Ireland who finished in a close 2nd place in 3rd place was British rider Charlotte Bryant returning to the water after a long lay off through a injury. Full final results for all divisions are are detailed below. Please note that National rankings are only applicable to UK nationals and not to riders from outside the UK. Results listings will list all competition riders even though they may be non-UK nationals.